This topic contains 1 reply, has 1 voice, and was last updated by Blackwing 1 year, 9 months ago. ‘Ello to those team leaders who pop by these threads every so often! I’m Blackwing, and I’m looking to be either a pyro main or sub. Currently I have 871 hours in TF2, and while my stats might show otherwise, I’m decent at pyro (I reset my stats way back when). 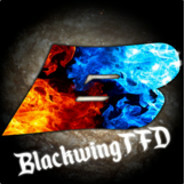 Here’s my steam profile ( http://steamcommunity.com/id/blackwingtfd/ ) if you’re interested in adding me. I also have Discord and Mumble and a mic better than that of an average trash can’s mic, so there’s that much to consider. Don’t pay attention to this thread anymore team leaders.